Ever bought a garment from a thrift store and wondered where it’s been or who wore it last? “RememberMe” is a new endeavor that uses radio-frequency I.D. 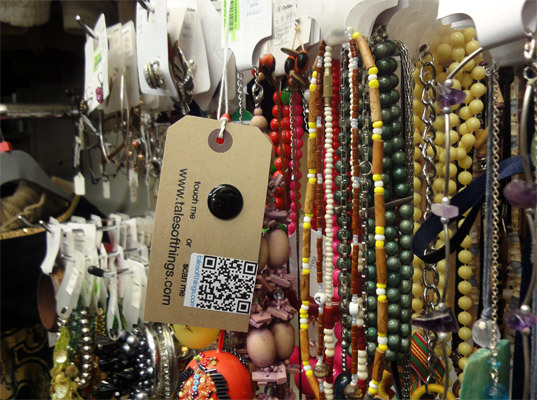 (RFID) tags and Quick Response (QR) codes to attach stories to discarded objects for their new owners to find. 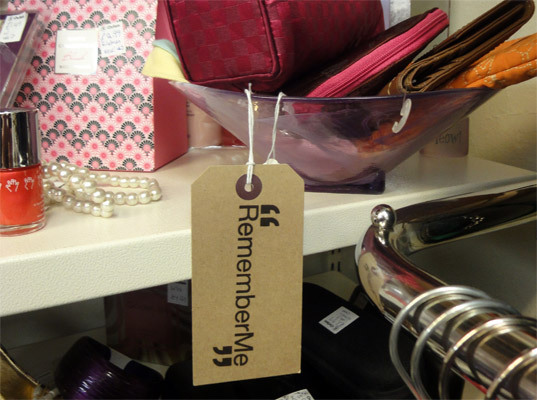 A collaboration between Tales of Things and Electronic Memory and Oxfam in Manchester, England, RememberMe is both a tool and an online database, one that allows people not only to record their memories but also make them accessible from any part of the world. RememberMe was given a trial run in May, just before the start of the Future Everything Festival. People who were dropping off donations at the Oxfam store were asked tell a brief story about one of their former possessions, resulting in an audio clip that was linked to an RFID tag and QR code. Using hacked smartphones that functioned as RFID readers—Tales of Things has since developed an iPhone app—Oxfam shoppers were able to replay those memories simply by scanning the barcode tethered to each item. By offering a new way for us to place value on our “stuff,” RememberMe could make goods less disposable. The project has a loftier goal than just giving old clothes the opportunity to speak for themselves. By offering a new way for people to attach value to their “stuff,” RememberMe could render goods less disposable. Knowing the story behind a worn leather jacket or a hand-knit scarf connects you to the item’s past, as well as its former owner. Tales of Things has launched a beta website to store and track the stories, as well as connect people who share similar experiences. Soon, each object will be geo-locatable through an online map of the world. Previous owners will even be able to receive updates on its progress through a custom Twitter feed. We cyber-stalk ex-significant others all the time, why not an ex-sweater?